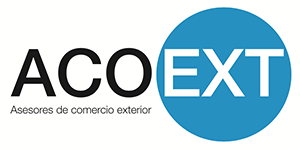 ACOEXT (Foreign Trade Consultancy/ Monitoring-Ongoing support) is the commercial name of the business unit belonging to the society Grupo Empresarial Juza, S.L, VAT: B54569736 registered at the Alicante’s Trade Register – Spain: Page A-125841, volume 3533, folio 119, inscription 1”. This entity will be called ACOEXT in this document. Contact us through info@acoext.es or through the following telephone numbers: +34 966 231 279; +34 650 248 173 or to the address: Calle Santiago, 34 3º I, C.P. 03690, San Vicente del Raspeig – Provincia de Alicante – España. The access to some of the content on this website can have its own conditions and terms which, depending of the case, will replace or modify the conditions above. Therefore, before acceding to the site the user should read the terms and conditions of those singular contents. The ACOEXT website' purpose is to open the doors of our company and show how we work. ACOEXT can change the design or the content of the site when desired as well as information contained. ACOEXT can also change the terms and conditions. ACOEXT is not responsible of the consequences or damages coming from the access to the Website, from the use of its information or other derived information coming from its links. Copyright 2012, ACOEXT. All rights reserved. The intellectual property rights of the website, graphic design and codes are property of ACOEXT. The company is the only entity or person allowed to manage the running rights in any possible way, especially the reproduction, distribution, public communication and transformation rights. ACOEXT must be specifically cited as an information source. This partial reproduction must have as a purpose the acquirement of information and in any case must not be used with commercial or private purposes. Any information on this website must not be modified in any way. Any element on this site cannot be used, copied or distributed separated from the original text. Any use of any content must be communicated in writing and with a certified document to ACOEXT, and any use of it must have the company’s permission. Any information taken cannot be given to anyone else or uploaded to an online server. The only purpose of the links on this website is to inform. ACOEXT is not responsible of the information in those links. Any reference appearing on ACOEXT’s website about any product, service, process, link, hypertext or other information using the brand, commercial name or producer or supplier does not mean that ACOEXT supports them. ACOEXT will not be held responsible for any of the possible errors that can occur when using other versions of non-updated browsers, or for any of the consequences that can come from an incorrect browser use, including incorrect configuration, the presence of malware or any other external threat unrelated to ACOEXT. ACOEXT does not take responsibility for a bad use of the content and can update or eliminate them whenever. ACOEXT can also block the access to certain content temporarily or definitively. ACOEXT does not take responsibility for any information not appearing in this website and therefore not created by ACOEXT or not published under their name. ACOEXT does not take responsibility for possible divergences appearing between the version of the printed documents and the online version. The Spanish laws will rule the general conditions. Pursuant to the provisions of the data protection regulations in force, ACOEXT informs that the personal data given to us during your visit to our website will be incorporated to a database which ACOEXT is responsible for. ACOEXT commits to keep our clients and users’ data confidential and to obey the regulations in force. As stated in the law 15/1999, of the 13th of December, about personal data protection, ACOEXT commits to obey the obligation to keep the personal data confidential, keeping it in secret and taking the actions to avoid any modification, lost or non authorised access to it, always meeting the technical security and organizational measures. All data collected through formularies, e-mails or other ways will be used only for the purposes stated in those formularies. We will not give or sell any information to anybody. We will not contact anybody unless it is absolutely necessary for the required service. You have the right to obtain the information about the data, and also its rectification, cancellation and opposition, by sending an email to the administrator.